Have you seen the delightful new Moana movie? 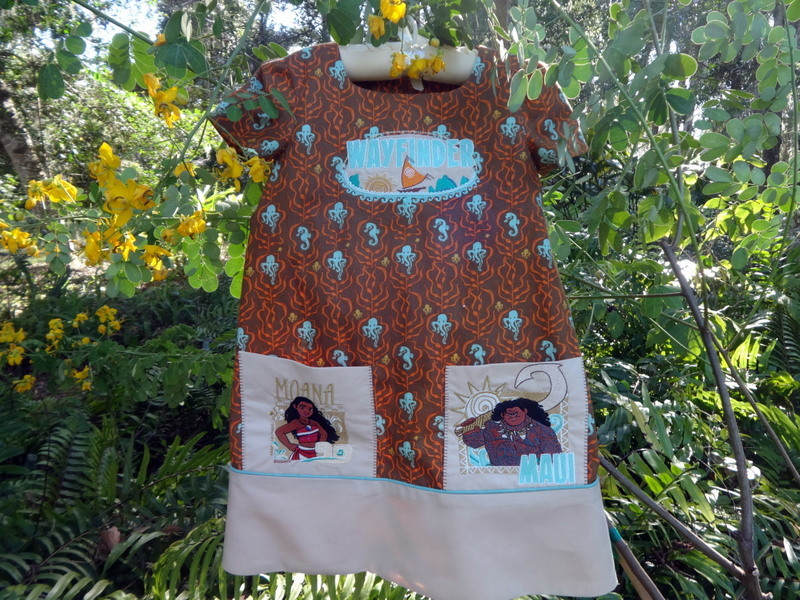 Granddaughter Laurel, her mother and I went to see it over Christmas and it reminded me that I haven’t blogged about the Moana items I have made. 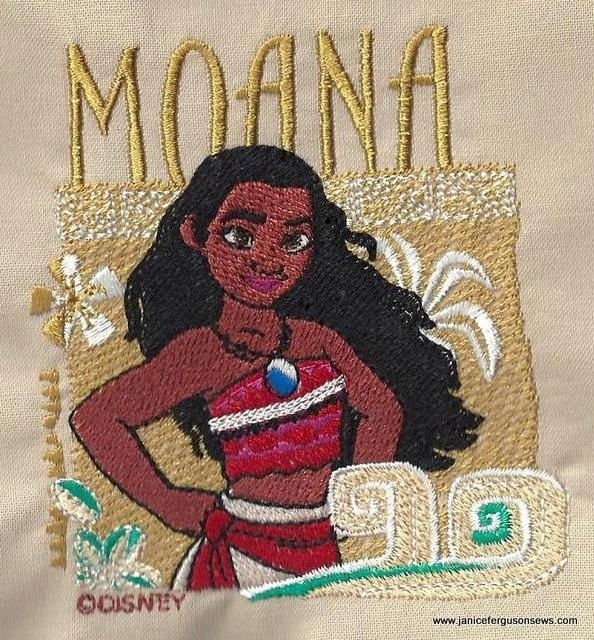 A complete tutorial is posted at Brother’s blog, Stitching Sewcial. The Simplicity Burda pattern for is dress is so versatile and easy. I like a pattern that leaves room for personal interpretation as this one certainly does. The dress would have been so much nicer if the print had been used for the hem. That’s just one more woulda coulda shoulda for me. The iBroidery.com designs are just exquisitely digitized. The intricate details are clear and distinct.